There are two things that are (almost) always guaranteed to do well on YouTube. One involves riffing on pop culture. The other takes advantage of people being duped. This past week’s top branded Web videos proves that spoofs and pranks still rule the roost. 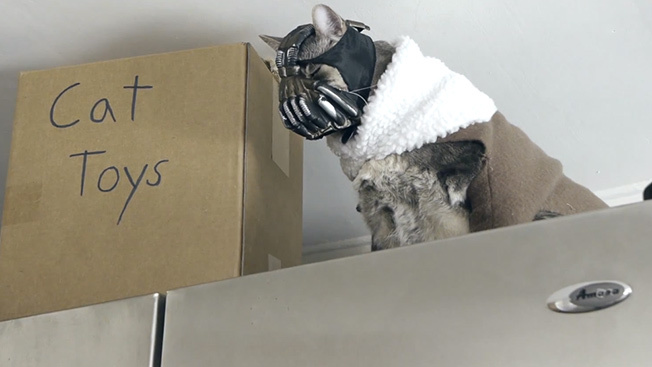 BaneCat taught us the truth about despair, especially when it comes to living with an evil, maniacal cat. And, Bart Baker’s Dark Horse parody—based off the Egyptian-themed Katy Perry music video—still had a strong showing. FouseyTube took off the yoga pants, and decided to play with people’s fears using a Harry Potter dementor prank. Meanwhile, ComedyShortsGamer got pranked himself when he tried to scare his dad, who was clever enough to turn the tables on his son's act.